Are you looking for an affordable and professional window care with long lasting results? 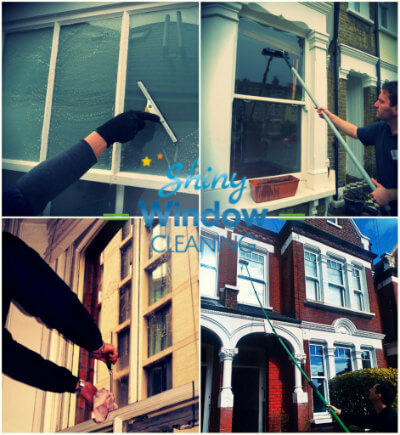 Shiny Window Cleaning offers just that for both domestic and commercial properties in London. You will see your glass panes shine as never before thanks to our expert service. Washing your outside windows is not only complicated and time-consuming but can be even a bit dangerous chore, depending on where they are situated. This is when the professionals will come in handy. All technicians are hand-picked, insured and equipped with the latest cleaning equipment. Your windows will be cleaned with a water fed pole and purified water without limescale and other particles. This is the most innovative technique that provides the best results and keeps your glass panes shining for longer. We don’t use any harsh chemicals or ladders in the process, therefore there is no risk of damage to your property. Reclaim your free time while we deal with this tedious task. Save your time, efforts and money – call us now! We can offer you reach and wash technique as well as abseiling services. All depends on your property specifications. You can count on us for your residential or commercial building – we have been catering to both households and local businesses. The technicians are qualified to provide you with certain additional services. You will save money every time you combine different options from our service list. Or book recurring services and save even more. 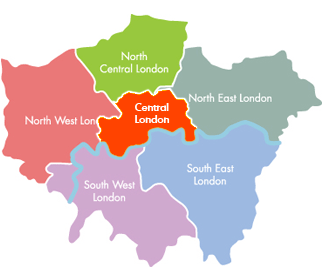 – Valid for areas within M25. 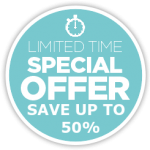 – The discount applies from the second session onward. – This offer can’t be combined with other deals and discounts. For discounts on commercial cleaning, we have to arrange a viewing and calculate the discount personally for you. Feel free to reach our friendly advisers at 020 3746 6557. They will be happy to answer all your questions and help you with whatever you may be interested in 24/7. You can also use the contact form and the live chat on our website. We guarantee a crystal clear and smear-free finish on every job! 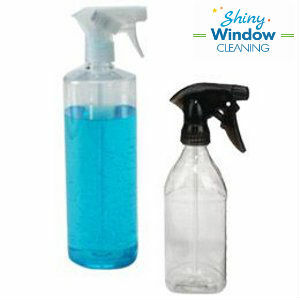 A home-made window cleaning solution will bring you the results of a chemical cleaner without the toxic, volatile chemicals of the latter. Simply mix equal parts of white vinegar (or lemon juice) and warm water. This solution will easily remove streaks, grime, and grease. You can also make yourself window cleaning wipes – combine ½ cup of white vinegar and ½ cup of rubbing alcohol with two cups of water. Pour the mixture over a cut-in-half roll of paper towels. Keep it in zip-top bag. These home-made cleaning wipes can be quite useful for finishing touches, especially for window corners with dust build-ups and debris.